National Bank Investments (NBI) has launched four ETFs on the TSX, marking its initial entry into the Canadian ETF space. The NBI Global Real Assets Income ETF (NREA) aims to provide income and long-term capital growth while hedging against inflation. The fund is invested, directly or through investments in securities of other mutual funds, in a portfolio composed mainly of common shares of companies located around the world in industry sectors associated with real assets. Meanwhile, the NBI Active Canadian Preferred Shares ETF (NPRF) seeks tax-efficient dividend income while focusing on capital preservation. It invests, directly or through securities of other mutual funds, primarily in preferred shares of Canadian companies and other income-generating securities of Canadian companies. 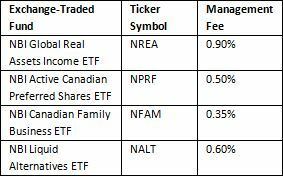 As for the NBI Canadian Family Business ETF (NFAM), its stated objective is to generate long-term capital growth by replicating, to the extent reasonably possible and before fees and expenses, the performance of a Canadian equity index — currently, the NBC Canadian Family Index — that measures the investment return of publicly listed family-owned Canadian companies. 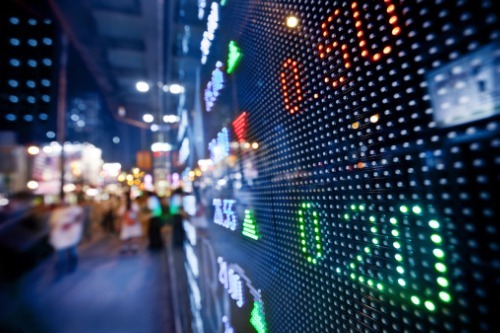 Through direct investments or through investments in other mutual funds, the ETF portfolio primarily holds shares of family-owned Canadian companies. Finally, the NBI Liquid Alternatives ETF (NALT) aims to achieve a positive return while maintaining low correlation to, and lower volatility than, the return of global equity markets. It aims to achieve such a return regardless of prevailing market conditions or the market’s general direction. The fund will invest primarily in long and short positions on financial derivatives with exposure to major global asset classes such as government bonds, currencies, equities, or commodities.